We have a client who wants to grow through acquisition. 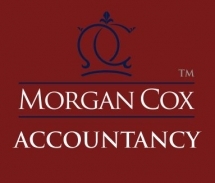 He is searching for an accountancy practice with GRF's of approximately £250K. Will consider smaller or larger firms. Happy to negotiate on the deal structure and are prepare to offer partners continued employment in sought. Firm is based in West London and will consider any practice in any of the home counties or even up to 50 miles from the TW2 postcode. Please complete the form below to request more details for this business. We will review your request and respond to you as soon as possible.Please add any additional notes or comments that we will need to know about your request. You will need to complete a non disclosure confidentiality agreement before full details of this business can be passed on. If you would like to send this business to a friend that you think may be interested, please complete the form below. To send this business to multiple friends, enter each email separated by a comma in the 'Friends Email' field. Disclaimer: All information contained in these business listings reflects data passed onto us by the business owner or nominated representative. Morgan Cox has not verified the accuracy of this information. Any prospective purchaser should seek professional advice to verify the accuracy of information before proceeding with any purchase. We give no assurance or warranties about the accuracy or completeness of any published information. Google Maps data has been given to reflect the rough geographical area. It does not reflect the actual location of the advertised business. All material is subject to copyright Morgan Cox 2016. Sell or Merge a Practice? How to Buy a Practice? How to Value a Practice? Sign up to our Accountancy Buyers Email Database!